Even though companies have been using data to target their marketing and gather insights about their consumers since the 1990s, some people found the movie’s idea of interactive advertisements “farfetched” in 2002. However, data-collecting “smart” billboards are becoming a reality today. In early 2016, Clear Channel Outdoor—one of the largest outdoor advertising companies in the US—started a new program called RADAR that uses billboards to track habits and behaviors of nearby consumers. Billboards have always been a staple of old school advertising — largely unmeasurable and resistant to today’s digital world. That’s why Clear Channel’s work is undoubtedly an interesting development in the world of data collection and data-driven marketing. Bringing billboards into the twenty-first century gives those tasked with reaching a target market a way to know if their billboard ads are being seen and, if so, by whom. Advertisers can make their marketing more effective, and those on the receiving end of the ads are now more likely to be met with something of interest to their lifestyle. Clear Channel Outdoor isn’t the only company to realize the value of understanding, even more finitely, the consumers they are targeting. In 2015, Yahoo applied for a patent of a smart billboard that can collect data through sensors, cameras, and microphones. While Clear Channel Outdoor and Yahoo have been the most outspoken about using this new technology, there are still others joining the trend. Posterscope, an out-of-home communications agency, has been testing the use of mobile data and image recognition technology. Like Yahoo, it is planning to introduce more advanced billboards. Quividi, a Paris-based data-collection company, recently launched their technology in New York City, using cameras placed within billboard displays to determine who was looking at the billboard and what ad they should be shown. This technology is impressive and opens many doors for industries that rely on big data. 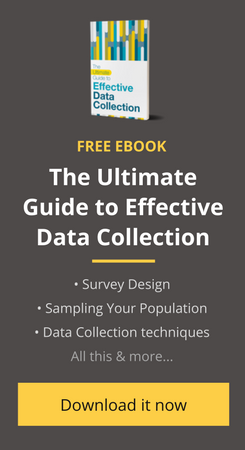 At a time when knowledge is power, it’s no surprise that data collection is evolving to better understand the millions—if not billions—of people needed to make a company thrive. But what about privacy? Not surprisingly, people have criticized the ethics of data collection long before these billboards existed, with those against data collection speaking out primarily about consumer privacy violations. In 2014, the Federal Trade Commission called for a curb on consumer data collection, citing an “out-of-control” digital data collection industry that knows more about us than our family or our friends. The complaints, while they criticize big data generally, seem to mainly focus on the fact that many consumers don’t know they are being tracked, raising serious questions about the intentions of big data collection agencies and the companies they sell to. Secrecy, generally, raises a big red flag. Billboard that uses a camera to collect data from passers-by. Credit: Hiroko Masuike for The New York Times. Despite the criticisms, it’s easy to believe that technology for data collection will keep evolving to offer more insights about potential consumers. As Andy Stevens, Senior Vice President for Research and Insights at Clear Channel Outdoor, explains, the company is using the same data that mobile advertisers have been using for years. “It’s easy to forget that we’re just tapping into an existing data ecosystem,” he said. Companies behind this new technology also emphasize the anonymity behind all of the data collected. Dan Levi, Chief Marketing Officer for Clear Channel Outdoor, explains that RADAR does not collect personal data from individuals — instead of reading individual users’ data, the system collects and focuses on broader patterns of behavior. How pervasive are these smart billboards? Originally, Clear Channel Outdoor launched their billboards in 11 major metropolitan areas, most notably Los Angeles and Times Square in New York. Since their debut, RADAR billboards have expanded to over 30 U.S. markets, a clear indication that we will be seeing more as opposed to fewer of them in the future. Throughout the last thirty years, consumer data collection has become an essential part of marketing and social understanding. The Federal Trade Commission and other organizations will certainly continue to raise concerns about privacy, worrying that we will one day live in a real-life version of the Minority Report. But while data collection from consumers holds so many advantages, companies will continue to use it, and we can expect to see more types of old-media advertising like billboards moving into the twenty-first century. Collecting data is always easier with a mobile app. We’ve helped over 150 partners collect over 20 million data points through our mobile data collection app Collect.